CANTON, Mass. (April 3, 2013) – Dunkin’ Donuts, America’s all-day, everyday stop for coffee and baked goods, is springing into April with an exciting addition to its lineup of sandwiches available any time of day to offer guests more choices to keep them running. 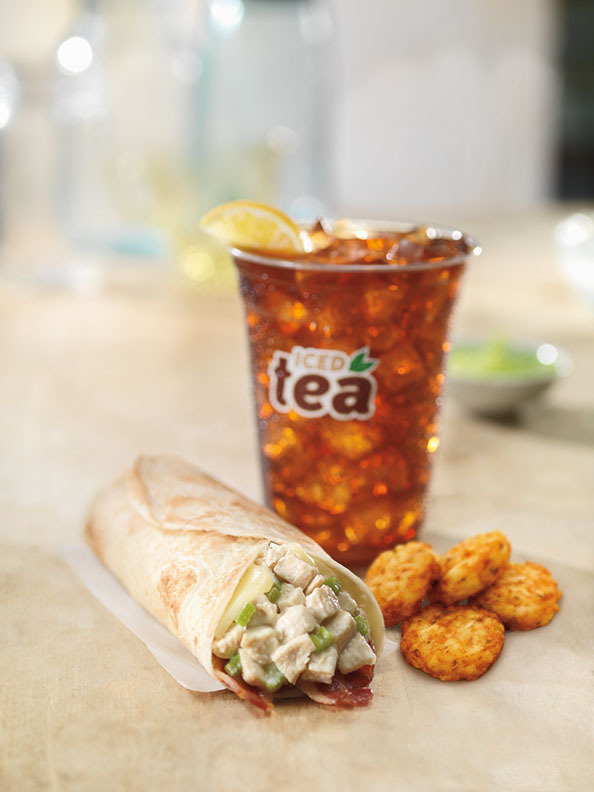 Beginning today, new Wraps are now available at participating Dunkin’ Donuts restaurants nationwide. Dunkin’ Donuts is serving up two varieties of the new Wraps, Chicken Salad and Tuna Salad, both served on a warm, eight-inch tortilla with white cheddar cheese and bacon. The new Wraps are a permanent addition to Dunkin’ Donuts’ menu of sandwiches, which includes Bakery Sandwiches available in varieties including Ham & Cheese; Turkey, Cheddar & Bacon; Chicken Salad and Tuna Salad, and Texas Toast Grilled Cheese. Dunkin’ Donuts’ Bakery Sandwiches are served oven-toasted and freshly made on a French roll, bagel, croissant, Texas Toast, or multigrain flatbread. Dunkin’ Donuts is also adding some color to the menu for donut lovers this season, today introducing two new Spring Pastel Donuts. The Spring Showers Donut features a yeast shell, filled with apple raspberry jelly, and topped with strawberry and pastel green icing drizzle over white dipping icing. The Spring Fling Donut is a yeast ring donut, frosted with strawberry icing and topped with pastel green and pastel yellow drizzle. Both Spring Pastel Donuts are available at participating Dunkin’ Donuts restaurants nationwide through May.